Throughout the ages people have exhibited a range of emotions and social behaviours to their gods, suggesting many different patterns of relationship. The Old Testament speaks of divine messages coming in dreams. Sarah laughed at a messenger of God (Gen18:12), Abraham haggled with God (Gen 18), Moses encountered God in a burning bush (Ex3:4), Jacob struggling until dawn with God (Gen 32:28). Job argues and despairs with his God and “curses the day of his birth” (Job 3:1). In the New Testament the disciples gathered in the Upper Room and experienced the coming of the Spirit with tongues, or glossolalia (Acts 2:4). There are classical accounts of numinous experiences, in which human responses to the transcendent are carefully described and analysed (e.g. James, 1902, Otto, 1917/1958). In the work of Otto there is a two-fold movement in a person’s relatedness to their god: both a movement towards the transcendent (mysterium fascinans) and a sense of repulsion in response to the utter majesty and otherness of the transcendent (mysterium tremendum). Efforts to rationally confront the feelings of tremendum are articulated in personal conceptualizations of a holy other such as God or Allah or Yahweh. The fascinans is explicated in rational concepts such as grace, in which the inadequacy of personal analogies to conceptualize the holy other are revealed. The fascinans thus has a mystical element insofar as the personal analogy revealed in the tremendum is found to be inadequate and an impersonal language is sought to describe it. A two-fold complexity is suggested here: a) human experiences of the divine are mixed (and polarized) in their cognitive-affective elements and b) language for describing such experiences is limited. Since much of the language used to express human-divine relationships, based on analogies with human relationships, is inadequate, due caution should be exercised in any analysis of these matters. Nonetheless, the use of human analogies in our understanding of relatedness to a holy other must be recognized and warrants further examination. Since many people today report a sense of relatedness to their god, it is helpful to pursue such questions as: How can we understand a person’s sense of being related to the divine? In what ways is this sense of relationship similar to other human relationships? When analogies are drawn between relationships among human beings and divine-human relationships it is helpful to consider both the range of human relationships assumed to meet different human goals and needs and what might be considered the most important of those human relationships. Relationships based on friendship, romantic love and family ties are often delineated. From an evolutionary perspective, affiliative relationships based on friendship are primarily for protection and learning, romantic relationships meet sexual and affiliative needs, whereas attachment relationships between an infant and caregiver meet needs for comfort and security in times of danger (Ainsworth, 1985a). However, the attachment system is seen as of first importance because it functions to ensure survival of the infant under threat of attack by predators and provides a template for future relationships (Bowlby 1969). For this reason, this paper will focus on the attachment relationship in humans and as an analogy for divine-human relationships. Attachment in its earliest manifestation refers to the quality of the relational bond between parent and child (Bowlby,1969). It is the product of the attachment behaviour system, a motivational control system that has the goal of promoting proximity and safety in infancy and childhood through the child’s relationship with the attachment figure or primary caregiver (Bowlby, 1969;1986). Other proposed goals of the attachment system include emotional regulation(Schore, 2003), felt security (Sroufe & Waters, 1977), exploration of one’s outer and inner worlds (Bowlby, 1973; 1980); balancing autonomy and intimacy (Fonagy, 1999), and meaning making (Johnson, 1997). Attachment relationships are not limited to early infant-parent bonds, since many later relationships function, inter alia, to meet attachment needs. For example, adult romantic relationships also function as a source of protection, a safe haven and a base for other relationships, and adults demonstrate attachment behaviours, typically under situations of stress and threat. However, the infant-caregiver bond is foundational for attachment relationships in two senses: it is the earliest dyadic relationship in the lifespan and it is formative in the establishment of all subsequent relationships (Bowlby, 1958). Hence, insecure attachment relationships with parental figures are important predictors of insecure attachment relationships with peers and adult romantic attachments (Main, Kaplan, & Cassidy, 1985). A secure sense of attachment in infancy is seen as critical for subsequent human relationships and for psychological health in childhood (Greenberg, 1999), and adolescence and adulthood (Main, 1995). The primacy of attachment relationships for humans is important when considering the human analogies that are used to depict something of the relationship between a person and their God. Within the Christian tradition God has been imaged as a loving parent who is addressed as “Our Father” in the Lord’s Prayer and gives food to his children. God the Son is imaged as both friend (after the words of Jesus quoted by Luke 12:4 “I tell you my friends”) and as lover (as in the first line of the hymn, “Jesu lover of my soul”). Since parental, friendship and romantic relationships have elements of attachment, and secure attachment relationships are necessary but not sufficient for later psychological health, it is fruitful to examine relationship with God in terms of attachment. Hence, some questions about relatedness to the divine could be framed, inter alia, as: What are the necessary conditions for experiences of secure and insecure relatedness to God? What are the psychological consequences of a person’s experiencing secure or insecure relatedness to God? These questions invite transdisciplinary reflection. Contemporary accounts of human attachment relationships draw upon extensive research and writings in fields of developmental neurobiology (Schore, 2003) ethology (Bowlby, 1991) cognitive-behavioural psychology (Ainsworth, Blehar, Waters, & Wall, 1978; Bowlby 1969), and psychoanalytic and object relations theory (Masterson, 1986). Hence a full understanding of human attachment must consider a range of biological and psychological theories. Further, if adequate analogies are to be made to human-divine attachment relationships (and particularly with respect to the monotheistic religions) then theology must inform theory. To date, there has been little considered theological reflection upon human-divine attachment relationships, nor clear explanation of the methodological assumptions pertaining to such transdisciplinary endeavours. This paper aims to clarify the methodological problems, propose a solution via the use of a form of complementarity (namely, Relational and Contextual Reasoning – RCR), apply the method of RCR to divine-human attachment as the explanandum and suggest implications for future research. An obvious, but important initial observation for the project of transdisciplinary coordination is that both psychology and theology are not unitary – there are multiple psychologies and theologies and multiple ways in which the disciplines can be coordinated with each other. Within psychology there are tensions between the ‘hard’ sub-disciplines such as cognitive psychology, at one extreme, and ‘soft’ sub-disciplines such as psychodynamic psychology at the other (Watts, 2002). Hence, it is not possible to infer a unitary ‘psychological method’ that could be used in transdisciplinary inquiry. In theology there are differences, in Lindbeck’s (1984) typology, between those for whom theology statements reference internal religious affections, those for whom theology is mainly propositional references to external truth, and those for whom theology functions as the cultural/linguistic grammar in meaning and world formation. 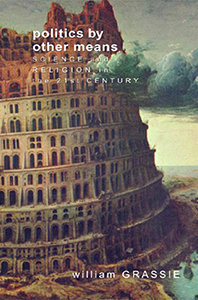 The history of attempts to coordinate psychological and religious explanations in the psychology of religion attest to the continuing tension between empiricist and hermeneutical approaches, with a tendency to abandon (rather than convincingly refute) explanations (after Kuhn, 1970) or revisit previously ‘discredited’ accounts at the failure of contemporary theory to give a full account of the data. Such are the problems of under-determination of theory by data and social pressures on the generation of knowledge. Until some of these tensions are resolved any project concerned with coordinating broadly based psychological and theological accounts is doomed to failure. Can biology provide a firmer starting point for transdisciplinary coordination? Although much of biology has been unified under an evolutionary paradigm, there are sharply different ways of relating biological findings to psychology. Whereas evolutionary psychology attempts to identify psychological mechanisms that have evolved together with physical structures and understand how they inter-relate to produce adaptive behaviours, the ‘standard social science model’ focuses on current brain capacities and the social processes that drive behaviour (Kirkpatrick, 2005). Yet the method of the biological sciences is not necessarily the most fruitful starting point for coordination, irrespective of the ‘foundational’ role of biology for the social science and humanities. This is because of the role of ‘top down’ causation (Peacocke, 1993); it is no longer possible to postulate a linear relationship between biological endowment at birth and subsequent functioning, using psych-social processes as moderators of biological expression. As will be discussed more fully later, psycho-social processes modify the structure of brain systems as well as the functioning of brain systems (Schore, 1994). The relationship is one of reciprocal, rather than linear, causation. Using biology as a starting point for transdisciplinary reflection that includes theological considerations is also problematic. As a science, biology is generally conducted under the assumption of methodological naturalism. However, methodological naturalism presupposes that there can be no study of divine-human relationships because it brackets out the spiritual domain from investigation, or reduces spiritual phenomena to biological ones. Methodological naturalism is particularly inappropriate when dealing with realist theological language which assumes a multi-layered reality. Theology in the late twentieth century has been largely anti-reductionist (e.g., Lindbeck’s (1984) propositionalist and cultural/linguistic categories). We need another method. a specific thought form which implies that two or more heterogeneous descriptions, explanations, models, theories or interpretations of the very same entity, phenomenon, or functionally coherent whole are both “logically” possible and acceptable together under certain conditions, and can be coordinated accordingly (Reich, 2002, pp 12-13). The method of RCR involves formal logic, analogical reasoning, dialectical reasoning and the logic of complementarity, the latter defined as coordinating “noncompatible (neither compatible nor incompatible) theories or belief systems in such a way that they illuminate and limit each other when describing or explaining the same reference object or state of affairs” (Reich, 1991, p.78). Further, RCR requires a sequence in which single descriptions/ explanations are the initial focus of thought (intra), followed by analysis of the relationships between different explanations (inter) and thence development of an overarching synthesis (trans). RCR acknowledges that overlapping descriptions (where there is a common reference) can be understood as relative to their context – the context gives emphasis to one description over the other (Reich, 1996). It is important to note that RCR depicts a psychological process used when people are confronted with seemingly contradictory, plausible explanations. Some people display thinking at the lower stages (either A or B is true but not both), others demonstrate intermediate stages of thought (perhaps A and B are both true in some way), whereas at the highest stages the necessity for both is acknowledged and some overarching explanation is attempted. Source: Reich, K. Helmut.(1991). The role of complementarity reasoning in religious development. Table 1, p.83. In F.K. Oser and W.G. Scarlett (Eds. ), Religious development in childhood and adolescence. San Francisco:Jossey-Bass. The method of RCR is particularly suited to the problem of transdisciplinary reflection because the method (or logic) is tailored to the nature of the theories to be coordinated, and to the specific circumstances of the observer and observation together constituting the context. As Reich explains: “The choice of the particular logic is related to the ontology of the functionally coherent unit, and to the pertinent inquiring system” (1989, p.11). 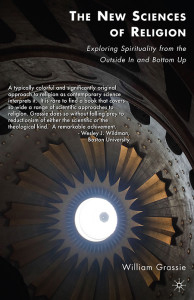 In the case of inquiry into matters that pertain to science and theology, the context embraces an ontology of spirit (and hence, an approach ‘from above’) and an ontology of matter (an approach ‘from below’). Reich and colleagues (Fetz and Reich, 1989; Oser and Reich, 1990a, 1990b) have applied RCR to the development of religious judgment in children and adolescents and the understanding of religious and scientific explanations of events (such as creation and evolution). More recently the method of RCR has been applied to examine cognitive changes in leaders of the Worldwide Church of God as the former sect was recognized as a mainstream denomination (Buchner, 2005). Reich’s analysis of complementary reasoning (RCR) has important correspondences with an alternative approach to transdisciplinary coordination, namely the analysis of the Interdisciplinary Mind by LeRon Shults (2003). A schematic representation of Shults’ (2003, p.49) analysis is adapted in the table below. Relation between disciplines viewed “from one side only”. Leans towards the absolute or objective pole. and then analyses the relation “from the outside”. Source: Shults, F. LeRon. (2003). Table 3, p.49. Reforming theological anthropology: After the philosophical turn to relationality. Grand Rapids, Michigan: Eerdmans. In categorizing thinking in terms of fiduciary structures, Shults is attempting to focus attention on the problem of the person’s thinking for the task of interdisciplinary discourse required within a postmodern context. That is to say, the focus is on the individual agent in his or her culture attempting to understand objects (theories and the reality such theories point to) at the intersection of two or more disciplines. The specific context for Shults, then, is not the evident situation of conflict between competing disciplines, but rather the ‘epistemic double bind’ in which the thinker is faced with making judgments about ‘objective reality’ based on relative, or ‘subjective’ knowledge. The tension is occasioned by a realisation of both the unity underlying knowledge and the difference between specific theories or disciplines. Further, Shults uses the term ‘fiduciary structure’ in order to focus attention on the way individually held faith in knowledge is formative in the approach to knowledge. The shift from a ‘modernist’ to ‘postmodernist’ fiduciary structure requires a transformation, not a linear development. There are obvious similarities between the fiduciary structures and Reich’s levels of RCR. The first fiduciary structure with its one-sided polarity is similar to Level 1 of Reich’s model of RCR where one explanation is held to be true to the exclusion of the other. Similarly, Shults’ second fiduciary structure with its analysis ‘from the outside’ appears to be dissected by Reich into his four subsequent levels (Levels 2 to 5), providing more detail of the process of such ‘ab extra’ analysis. However, the main difference between the two approaches lies in Shults’ explicit claim that a fully interdisciplinary approach requires the person to have “an intuitive recognition that disciplinary identities are dialectically related and so mediated (even if negatively) by their embeddedness in a broader relationality” (2003, p.50). The person who uses the ab intra method of relationality is positioned within the interdisciplinary relation, experiences the tension and resolves it by constructing knowledge “from within the relationality itself’ (p.51). The intuition of the knower positioned within the intersection of the disciplines occasions a transformation of thinking. In contrast, Reich seems to consider the position of the knower within his analysis of the context of the inquiry and does not claim that an intuitive sense of relationality is essential; rather, he emphasises the cognitive capacity and motivations of the inquirer. Both Shults and Reich refer to the Ecumenical Council at Chalcedon in 451 as a critical example of complex reasoning. Discussing the development of a postmodernist fiduciary structure Shults (2003) appeals to the philosophical writings of James Loder and, in particular, Loder’s use of the Chalcedonian fathers as a warrant for his claims. Similarly, Reich appeals to Chalcedon as a test case for his theory. Hence, the application of RCR to the thinking of church leaders who presented the Chalcedonian Definition of the dual nature of Jesus Christ as man and God in 451 will be examined to clarify further the claims of Reich and Shults. Shults deals briefly with Loder’s treatment of Chalcedon in making three points. First, the Chalcedon fathers began their deliberations with doctrines of the “relational unity of Jesus Christ as truly God and truly man” (p.56). Second, their descriptions and knowledge included personal knowledge of themselves as believers and worshippers of Christ. Third, the logic of the Chalcedon fathers reflects the struggle of ‘participating knowers’ and forms a foundational Christological epistemology of relationality. Reich (1990) analyses the ecumenical council at Chalcedon in more detail. In contrast with Loder’s view of an initial sense of relational unity, Reich argues that the 350 representatives at the Council of 451 had divergent views of the divine and human natures of Jesus, the Christ, and the final formulation was work of a special commission of 23. The commission added new sentences that emphasised the mystery of Christ and hence did not obscure the inherent paradox of God incarnate. Further, the Chalcedon formulation fits the structure of thinking in terms of complementarity (as laid out by Reich, 1989). Hence, he argues that at least some of the Chalcedon fathers used the logic and method of complementarity in formulating their Definition. However, Reich affirms that other personal/ cognitive characteristics of the Commissioners influenced the formulation, and hence can be considered as contextual factors: at least some thought at several levels, with reference to theological models (such as the “Messiah” and “Logos” models that combined the divinity and humanity of Christ in different ways), popular views of being (as divinity and humanity) and practical concerns (such as the use of doctrinal formulas in catechisms and the like). Further, external motivation exerted upon the Council by Emperor Marcian facilitated acceptance of the product of RCR. Both approaches address the issue of transdisciplinary reflection but differ in their emphasis on emic (from within) and etic (from without) positions. Reich’s finely grained presentation of RCR allows for detailed logical analysis of an explanandum and for a range of external and internal factors to be considered as the context of the inquiry. However, Shults posits an intuition of relational ontology as a necessary starting point for such reflection. 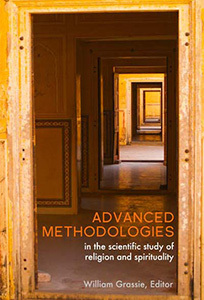 This paper addresses an issue that evokes two or more standpoints that appear mutually exclusive (such as psychologically, biologically and theologically based accounts of human-divine attachment) and therefore warrants exploration using the method of RCR in light of Shults’ fiduciary structures. In the following application the more detailed delineation of Reich will be used, but the personal knowledge of the inquirer will be acknowledged. Additionally, the basis for a universal intuition of relational ontology will be discussed. A problem for understanding human-divine relationships is that science and theology offer noncompatible accounts. Psychological and biological accounts bracket the existence of God and assume that experiences and mental models of God generalize from representations of humans. Christian theological accounts posit the existence of God who relates in personal ways to humans. The method of RCR will be used to examine examples of each type of account (intra), explore connections between the selected psychological and theological accounts (inter) and consider whether an overarching synopsis can be developed (trans). The present application is limited in several respects. The literature on human attachment is voluminous and it is impossible to examine relationships within and between each psychological account. There are multiple spiritualities and ways of experiencing attachment to the divine: only one contemporary Christian theological account is examined in the present endeavour. Hence, any attempt to develop a general synopsis will be partial and provisional. The context of the analysis includes the disciplinary frameworks of the elements of the explanandum and the context, or positioning, of the knowers (in this case, the writers of this paper). Here the focal issue (explanandum) is attachment to God variously explained (partially) by a) biological and psychological accounts within a context of naturalism, and b) theological accounts within a context of non-naturalism. The writers of the paper are severally immersed primarily in one context (MM primarily in psychology, NHC primarily in theology) but together experience a sense of the relationality of the disciplines that require coordination. That sense of relationality stems partially from an ‘emic’ position as practising Christians, and partly through struggles to coordinate theoretical and lived experiences. At least three different types of psychological accounts of human attachment relationships have been developed, with emphasis on cognitive-behavioural, affective, and intersubjective aspects of attachment respectively. Cognitive-behavioural accounts build on the foundational work of John Bowlby (1958, 1969; 1978; 1988) and Mary Ainsworth (1985a; Ainsworth, Blehar, Waters, & Wall, 1978). The child’s attachment behaviours, and complementary caregiving behaviours of the parent, were systematically observed by Ainsworth in laboratory situations that presented loss and threat to the infant (Ainsworth, Blehar, Waters, & Wall, 1978). Three main types of attachment behaviour were noted: proximity seeking, where the child expresses a desire for closeness to the caregiver; the secure base effect where the caregiver provides a safe reference point from which to explore; and separation protest at the absence of the caregiver (Ainsworth, 1985b). From laboratory research using the Strange Situation (a situation where the caregiver leaves the infant and a stranger enters) Ainsworth (1972; 1973) identified three styles of attachment behaviour, the secure styles being viewed as developmentally healthy and two insecure styles as developmentally troubled. Secure attachment is marked by seeking proximity to, and finding comfort from, a carer after distress; anxious-resistant attachment is characterised by ambivalent, clinging behaviour by the child; while anxious-avoidant attachment is consistent with the child’s self-reliant and self-contained behaviour (Ainsworth, 1972; Sroufe & Waters, 1977). Whereas attachment-related behaviours indicate the presence of a secure or insecure attachment relationship, the bond between a parent and child is also represented in relatively stable cognitive-affective structures termed “internal working models” (Bowlby, 1969). Since they are derived from attachment experiences they comprise models of the self as deserving of safety or comfort, and models of others as available and equipped to provide safety and comfort. These internal representations guide perceptions, expectations and behaviour with respect to attachment relationships. Further, internal working models foster the development of later attachment relationships, such as the bonds between close friends or romantic partners (Feeney, 1999). In this manner infant-caregiver attachment is seen to be foundational for later adolescent and adult relationships. Although both behaviours and mental representations are essential components of attachment systems, it is important to recognize that they operate and develop within specific relationships. Infant-caregiver attachments arise in a relationship where the infant’s attachment behaviour system is activated in concert with, and complementary to, the caregiving behavioural system of the parent (Cassidy, 1999). Attachment behaviours in the child, internal states of the parent and other competing parental behaviour systems, motivate parental responses. In early infancy the goal of the attachment behaviour system is proximity and protection, but in older children and adults the goal is the availability of the attachment figure. “Availability” is a composite belief relating to physical accessibility, open communication, and appraised responsiveness of the attachment figure (Ainsworth, 1990). Marvin and Britner (1999) argue that the development of a child’s information processing skills between the ages of 2 and 4 “enables the child to operate in a nonegocentric fashion simultaneously on the perspectives of self and others, and to construct shared plans with the caregiver in a goal-corrected manner” (p.61). Hence, the basis of attachment shifts from physical proximity in infancy to felt availability in the pre-school years. However, ongoing appraisals of availability of the attachment figure depend on the quality of the current relationship (Kobak, 1999). If the child is to understand that the parent is available, despite physical separation, then the child must understand something of the parent’s goals and plans, and such understanding depends, inter alia, on the quality of parent-child communication. Open communication between the child and parent reduces appraisals that an event is threatening. Thus, Kobak (1999) argues that attachment security should be examined in light of the quality of emotional communication in current attachment relationships. A relational perspective also considers changes in the attachment figure (the person whose actual or emotional presence is sought in times of threat) across the lifespan. Friends, older siblings and other kin may develop relationships with an individual that move beyond affectional systems to incorporate attachment qualities (Ainsworth, 1991). However, during adolescence and beyond there is a movement away from close proximity to a parent, to absences plus adaptive, temporary returns (Marvin & Britner, 1999), thus pointing to the importance of the secure base effect in adolescence and adulthood. In addition, post-childhood attachment relationships are marked by reciprocity where both partners give and receive support (Allen, Moore, Kuperminc, & Bell, 1998). At the stage of parenting, the dominant perspective of ‘being protected’ must shift to that of ‘providing protection’, although a marriage partner may provide a secure base for the other’s parenting (George & Solomon, 1999). The second major psychological approach to attachment emphasises unconscious, affective aspects of the relationship (Blanck & Blanck, 1986); it is found in the work of theorists associated with the object relations tradition (such as Kernberg, 1976; Masterson, 1986; Spitz, 1965; and Winnicott, 1965). Many object relations theorists refer to attachment processes as they trace the development of the sense of self in relation to the caregiving other. Of great significance are the processes by which the unitary sense of ‘self and other’ differentiates to become robust, and separate, representations of self and other. Differentiation begins with an awareness of differences between self and object images, and progresses to individuation as the child explores the wider world and then returns to the home base for assurance (Mahler, 1972), with obvious analogues to the secure base and safe haven effects of Ainsworth’s model of attachment. The self and object representations are also consonant with internal working models, although object relations theorists emphasise possibilities for unconscious distortion of representations. For example, defences such as the projection of distressing, or unwanted, aspects of the self onto the object, and identifying with positive aspects of the object, are used (Masterson, 1986). These defences result in inaccurate representations of parental figures and the self, and may result in the differential access to consciousness of available representations (Fonagy, 1999). Psychoanalysts view healthy development as intrinsically linked to the child’s acquiring a capacity to perceive the caregiver as a separate but complete human individual – a psychological entity with an intentional stance, motivated by wishes, beliefs, and feelings…Attachment in this context is a sense of comfort and security in the safe exploration not just of the external world, but perhaps even more importantly, the internal one. Here it is obvious that the function of attachment has shifted from the evolutionary imperative of survival, as in Bowlby’s formulation, to the achievement of ego reality (Roberts, 1997). It is our view that the development of a child’s sense of the real occurs not primarily as a result of frustration and disappointment, but rather through the validating attunement of the caregiving surround, an attunement provided across a whole spectrum of affectively intense, positive and negative experiences. Reality thus crystallizes at the interface of interacting, affectively attuned subjectivities (Atwood & Stolorow, 1993, pp.187-8). The role of attachment in meaning-making is emphasized in an account of intersubjectivity as a mutual exchange of meaning (Johnson, 1997) where it is argued that mirroring of the child’s state by a parent affirms the child’s experience of self-coherence in an ongoing, reciprocal exchange of meaning. Hence, intersubjectivity is “the fundamental, interpersonal channel by which meaning and love are conveyed” (Johnson, 1997, p.160). Intra-analysis of psychological accounts of human attachment relationships reveal differences between cognitive-behavioural, affective, and intersubjective models arising from their i) posited goals of attachment; ii) focus on conscious versus unconscious elements in the formation of attachment bonds; iii) emphasis on cognitive versus affective or relational aspects of attachment representations; and iv) focus on the ‘other’ as an active agent versus mental representation. However, all of the models assert the complex nature of attachment relationships, and the foundational importance of early infant-caregiver relationships for subsequent psychological functioning and for later adult attachment relationships. There is now widespread agreement that the brain is a self-organizing system, but there is perhaps less of an appreciation of the fact that the self-organization of the developing brain occurs in the context of a relationship with another self, another brain. This other self, the primary caregiver, acts as an external psychobiological regulator of the ‘experience-dependent” growth of the infant’s nervous system whose components are rapidly organizing, disorganizing, and reorganizing in the brain growth spurt of the first two years of life (Schore, 2003, pp5-6). A critical function of the ‘infant-caregiver unit’ is the regulation of intense emotion. For the neonate, mutual gaze is a vehicle for minimizing negative affect whilst maximizing positive affect and the attunement of infant and caregiver. Experiences of emotional regulation and attunement increase levels of circulating endorphins in the infant, regulate neural development (such as the growth of dendrites – structures of brain cells important for connections throughout the brain) and promote the formation of attachment bonds. Schore (2003) suggests that there is a critical period at the end of the first year for the maturation of the orbitofrontal cortex which has a central role in the regulation of emotions. The orbitofrontal cortex is “the convergence zone between the cortex and subcortex” (Balbernie, 2001, p.243). The brain circuits of the orbitofrontal cortex, responsible for emotional and social functioning, are not fully formed at birth but are established during the first years of life (Siegel, 2001). These circuits are shaped by the caregiver’s behaviour. As the mother signals safety or danger in the environment, positive arousal or deactivation of neural firing occurs, along with the production of brain chemicals that regulate infant stress. Appropriate deactivation in times of safety allows the infant to conserve energy for play and exploration activities that in turn provide experiences to shape emerging brain connections. The caregiver also can reduce arousal by signalling to the infant through her social expressions, thus guiding the infant’s behaviour as the infant checks the appropriate response (‘social referencing’) and imitates her. The sequences enacted in such mother-infant interactions become more automatic and more readily accessed in future occasions of stress. Hence, patterns of infant attachment behaviours arise, such as seeking positive emotional support from the caregiver, or ‘emotional refueling’ after separation and on return to the secure base. However, the developing orbitofrontal connections also allow for emotional regulation when the caregiver is absent. Since the orbitofrontal cortex processes information from the external world (particularly visual information such as faces) as well as from internal bodily states, it can generate non-verbal internal working models that can be accessed in the absence of the caregiver. Internal representations enhance positive, but reduce negative, emotion in a similar manner to the actual presence of the caregiver. This is the beginning of the self regulation of affect. Further, in the second year of life the parental caregiving system is strongly supplemented by the socializing system, resulting in greater negative affect for the child as the child’s actions are constrained and shaped towards living in community. If the parent is responsive to the child’s distress at this time, then the child can internalize the experience of ‘interactive repair’ (where distress can be contained and replaced by positive emotion) as further symbolic representations, or working models. The child-caregiver interactions in turn promote the maturation of orbitofrontal regions, especially neural circuits that brake arousal and promote an inhibitory state at times of distress. The secure child thus encodes a working model of a “regulated self in interaction with an attuning other” (Schore, 2003, p.121). Attachment, in short, is defined as the dyadic regulation of emotion, or as a mind-body interaction with the goal of emotional regulation. Since secure attachment depends on neurological development of the brain in the context of emotional regulation by the caregiver during infancy and early childhood, internal representations of attachment are based on preverbal memory capacities. That is, early representations of self and other in relationship are not laid down in memory systems that process linear, episodic memory. Rather, early representations are laid down in procedural memory and are largely unconscious and automatized.. These representations subsequently guide the manner in which the child regulates distress as their experiences (and hence representations) become more complex. Corresponding to the reciprocity of the Father and Son in the Spirit is conceived the reciprocity of the “I” and the “it”, of subject and object. Because of the polarity of being in God, the polarity of self and world is also maintained (Gunton, 1985, p.88). Jesus as the revelation of God is also a demonstration of objectivity and subjectivity: He is subjectively God but also an objective revelation of God to others. Whereas Gunton (1993) takes a classical theological stance in that he emphasises the otherness of God and the world, he also asserts the immanence of God acting within the believer through the Holy Spirit. God the Spirit acts to: 1) make possible now what is promised at the end of time, including moral goodness; 2) relate people to Jesus and to each other in community; and 3) work within the believer while respecting the independence and autonomy of the agent. In brief, the Spirit is “God creating authentic human reality in the here and now” (1985, p.103). Here, Gunton is arguing that God is the basis for all human relationships (including attachment relationships). In “Act and Being” (Gunton, 2002) the attributes of the God and their implications for human relationships are addressed. God is spirit and since this is a communicable attribute it is imparted to other beings. In addition to being spirit, God is love: God’s loving actions are grounded in God’s being love (as attested in 1 John 4). Other attributes of a holy, loving God follow: patience, mercy, wrath, grace and justice. These are all attributes seen in God’s actions in time, mediated through the Son and Spirit, and revealing the eternal being of God. Hence, Gunton draws on God’s actions and trinitarian relations to posit core qualities of spirit and holy love – qualities that are foundational for relationship with humans. These relationships include interactions of people within the Christian community where there is mutual giving of selves in love, accompanied by internalizing of some personal qualities of the other (Volf, 1998). The goal of attachment, as a foundational type of human relationality, is a multiplicity of loving relationships. The church is also referred to as a Body (of Christ), the locus of human relatedness to God and to other humans, through the power of the Spirit. Humans, in the Body of Christ, participating in the divine life, and drawing others into that world of secure attachment to God. The true God knows we project our values onto him and so conceive him idolatrously, and is unmoved by this childishness. He is intent on giving us new values and contravening our idolatry (Jenson, 1997, p.53). As noted previously, biological accounts of human attachment relationships depend heavily on affective and intersubjective analyses of interactions between the infant or child and caregiver. The consistent finding (Schore, 2003; Siegel, 2001) is that neural development requires adequate caregiver responses to the infant’s innate attachment behaviours – caregiver responses of attunement and emotional regulation. In this section, two types of accounts are related to analogies drawn from human to divine attachment figures: a) accounts based on cognitive-behavioural approaches in psychology and b) accounts based on affective and intersubjective approaches in psychology (with reference to biological accounts). Cognitive-behavioural theories of attachment to God have developed as analogues of human attachments, with little attention paid to ways in which God might be different from human attachment figures- most obviously, that God is not a physical being whose form and response to human beings can be observed. The relationship between a person and God has been conceptualised as an attachment relationship in the work of Kirkpatrick and colleagues (Kirkpatrick, 1992, 1994, 1995, 1997a, 1997b; 1998, 1999; Kirkpatrick & Shaver, 1990, 1992; Rowatt & Kirkpatrick, 2002). God theoretically functions as an attachment figure since monotheistic religions hold to belief in a personal God whose loving qualities are similar to the ideal parent (Kirkpatrick, 1999). One’s relationship with God serves many of the functions of attachment, such as providing a safe haven and secure base, while the individual may demonstrate attachment-characteristic behaviours towards God such as seeking proximity, a safe haven and a secure base, and exhibiting separation anxiety (Kirkpatrick, 1994). Specifically, Kirkpatrick (1992) cited supplicatory prayer, attendance at church to experience closeness to God, and glossolalia (likened to infant babbling and demonstrating a need for confidence and security) as examples of behaviours related to religious attachment. Nonetheless, he recognized that these behaviours are multiply determined and hence, they cannot reliably indicate attachment behaviours in themselves. Further, if strict analogies with human attachment relationships were to be pressed, the behavioural examples would have to be observed under conditions of threat (regular church attendance, for example, would not suffice, but only church attendance in the context of danger). The concept of separation anxiety is problematic in relation to a being presumed to be omnipresent, although accounts of people experiencing God as being distant, or utterly transcendent, are common (Hood, 1995). The cognitive model of attachment to God (as proposed by Kirkpatrick and colleagues, noted above) holds that mental representations of a person’s attachment relationship with God are generalizations from representations, or internal working models (IWMs), of human attachment figures. Thus, an assumption in the psychological work of Kirkpatrick and colleagues is that child-parent attachment relationships determine a believer’s attachment to God. In partial support of this assumption is the finding that measures of IWMs associated with parents or romantic partners generally correspond to IWMs associated with God (Kirkpatrick, 1992). The role of religious socialization is also critical for the development of secure attachment to God in those with secure parental attachments (Granqvist, 2002; Granqvist & Hagekull, 1999). However, partial support was also found for compensatory attachment (Granqvist & Hagekull, 1999; Kirkpatrick, 1997b; Kirkpatrick & Shaver, 1990) where persons with insecure attachment histories are likely to experience sudden, compensatory religious conversion. These studies suggest that people who have insecure human attachments, whether early parental or contemporary romantic attachments, may experience sudden conversion which enables positive IWMs associated with self and other (God). The focus of sudden conversion within the cognitive-behavioural model is on the role of distress and other negative emotions (arising out of difficult relationships and current crises) motivating a new sense of relationship with God. It remains to be seen whether IWMs following religious conversion indicate that oneself and other (God) are experienced in highly positive terms, indicative of attachment security. Such research is needed to give clear empirical support to the compensation hypothesis. In short, the cognitive-behavioural model of attachment to God requires further empirical support of its central hypotheses. At the level of theory it comes close to a reductionist projection: by bracketing the existence of God it is easy for Kirkpatrick and colleagues to assume that a person’s perceived relationship with God is nothing but a projection of important human relationships. Further, the cognitive-behavioural accounts draw upon Bowlby’s theory of attachment in which survival needs are primary motivators. Such accounts, argues Roberts (1997) overlook Bowlby’s own appreciation that core needs for fulfilment and well-being are satisfied in adult attachment relationships, and hence exhibit biological reductionism. The work of Todd Hall and associates (Hall, 2004; Hall, Halcrow, Hill, & Delaney, 2005) is an application of biological and object-relations theories to the issue of divine human relationships. Their work examines human-divine relationships from the perspective that unconscious, affective processes motivated by a need for felt security are involved. However, the goal of attachment to God is posited as Christian spirituality, or spiritual maturity. Hall (2004) argued that patterns of relating to God are shaped by multiple “codes” of information processing, but particularly by implicit, or experience-based, relational representations formed in attachment relationships with caregivers. Early relational experiences are processed by ‘sub-symbolic’ codes that regulate arousal in the brain via simultaneous, parallel channels. As experiences with a caregiver of a particular positive or negative emotional tone are repeated, they are stored as non-propositional memory structures in “implicit memory”. At later developmental stages emotional information is processed as images via the nonverbal symbolic code in which whole images are considered together, and through linear, sequential verbal processes. Nonetheless, it is the earliest, subsymbolic processing of relational experiences that form implicit relational representations which in turn shape subsequent patterns of relationship. Thus, internal working models, or more properly, implicit relational representations, are unconscious, implicit ways of relational knowing that guide appraisals and motivate behaviours directed towards the goal of felt security. They operate automatically because they are not constrained by the linear processing that is required for knowledge coded in verbal form. In applying theories of implicit relational representations to attachment to God, Hall asserts that “implicit experiences form the foundation of the emotional appraisal of meaning in any aspect of spiritual functioning, including one’s relationship with God, rather than explicit, symbolic knowledge of God or theology” (2004. p.75, italics in original). A major difference between models of attachment to God based on cognitive behavioural theories (and related explicit, or verbally based, measurement of attachment) and affective theories emphasising implicit mechanisms is the treatment of compensatory attachment. According to the affective model, people with negative working models may turn to God for affect regulation, but their implicit relational representations do not change (Hall, Halcrow, Hill, & Delaney, 2005). In effect, this argument denies the explicit compensation hypothesis: it holds that changes in implicit relational representations can only occur through further, similar implicit relational experiences, whereas the explicit model holds that religious conversion (and related teaching) may change IWMs. However, the affective model does not rule out some partial influence of teachings upon the way a person relates to God: explicit changes in beliefs about God may affect one’s relationship with God, and hence have some impact on implicit relational representations. What is challenged is the view that assimilating beliefs, or other verbal forms of knowing, leads to sudden conversion experiences that directly influence an attachment relationship. Further, the affective model questions the degree to which internal representations of relationships might change subsequent to sudden conversion in a person whose human attachment relationships were insecure. In a test of the affective model, four religious scales were created to measure affectively-based religiosity (implicit measures) and one explicit religious measure was used (Hall, Halcrow, Hill, & Delaney, 2005). Research participants were categorized as having secure or insecure adult attachment based on self-reported romantic relationships. The affective model holds that explicit measures do not give an adequate representation of a person’s attachment and largely represent an account of relationship with God that is formed through verbal means, such as formal teaching or private religious reading. On the other hand, implicit measures that tap into unconscious, affective knowledge are expected to give a more accurate account of the person’s sense of relationship with God. Hence, it was hypothesised that the secure and insecure attachment groups would differ on the implicit, but not on the explicit, measures of religiosity. Findings only partly supported the hypotheses: as predicted, the groups did not differ on measures of explicit religiosity, but they did not differ on all of the measures of implicit religiousness. The approach of Hall and associates extends the theoretical basis to include implicit, or unconscious aspects of attachment, but it is questionable whether the measures used in their research fully capture implicit components of attachment. Methods that can discern unconscious contents, such as discourse analysis of narratives (Hesse, 1999) are required. The findings as reported to date are based on the concept of cognitive-affective representations of attachment, and do not take into account the fully relational models presented by Schore (2003) and intersubjectivity theorists. Consequently, findings are limited in scope and may not do justice to contemporary views arising from biological and psychoanalytic theorising. It has been asserted that the problem of divine-human attachment relationships has features that suit an analysis by means of RCR. The explanandum is situated at the intersection of several disciplines: psychology, biology and theology and thus displays ontological characteristics of spirit and matter. The RCR method (also described as ‘circular causality’ by Reich (1990) when it applies to transdisciplinary endeavours) aims to analyse relationships within and between apparently conflicting accounts (intra and inter), examine issues of coinherence and, where possible, suggest an overarching account that gives due weight to the constituent theories (trans). In the case of human-divine attachment the coordinated synopsis would give equal weight to biological, psychological and theological accounts and suggest a position that would overcome some of the deficiencies in any of the accounts taken alone. In particular, an overarching coordination would avoid the problem of reductionism. A major problem of the cognitive-behavioural model can be summarized as follows. Basic to current theories of attachment to God by Kirkpatrick, Granqvist and their colleagues is the language and perspective of cognitive representations. Attachment to God develops because mental representations of attachment to caregiver/s provide a template for socialization. Thus, explicit knowledge of God as communicated by formal teaching, behavioural examples and the like forms the content for “God representations” that have the same structure as “mother”, “father” or “caregiver” representations. The structure of the caregiver representation comprises generalized notions of the self as worthy of care, and the other as able to provide appropriate care as needed. Further, the representational structure is seen as largely available to consciousness and provides the template for incorporating explicit knowledge of God. However, the concept of attachment to God does not imply a direct relationship with God but rather, human activity with respect to representations of God. A theological warrant for Kirkpatrick’s model, mentioned very briefly in a number of papers (Kirkpatrick 1992, 1999; Kirkpatrick & Shaver, 1990), is that God in essence is mysterious and unknowable. Since God cannot be known directly, the only means of knowing God indirectly is through symbols arising out of cultural experiences and through the spiritual communication of human love. Hence, attachment to God arises by virtue of generalization of attachment structures from human attachment relationships, together with specific content (distilled as concepts and images of God) made available by socialization processes. A difficulty of this mediated view of God is that it reduces God’s power to intervene in human affairs directly, and hence reduces God’s immediacy and potency as an attachment figure. Hall and colleagues (2004, 2005) view the structure of attachment representations as largely unconscious. By extension of their theorising, implicit aspects of relationships with caregivers form the foundation for appraising the meaning of information about God, and for developing a relationship with God. Explicit knowledge about God (teachings, reading of spiritual material etc.) that is consistent with this structure of relationship with God is retained, whereas inconsistent elements are not processed and may remain as separated and unsystematized elements. An important problem of the affective model is its emphasis on stability of attachments and its resulting inability to account for powerful transformations after religious conversion (e.g., as depicted by William James, 1902). Associated with this problem is the neglect of insights from theories of intersubjectivity. As applied to attachment to God, an approach based on intersubjectivity would focus on the sharing of meaning within a dyad because it explores emotionally-laden exchanges as constituting the unity of the relationship. The goal of attachment to God in this model would be mutual recognition, or the relationship itself. The biological-intersubjectivity view posits powerful biologically-based mechanisms for affect regulation within the mother-infant dyad, with the immediate goal of an attunement, but subsequent goals of self-regulation of emotion, and psychological well-being for the infant. The caregiver is viewed as responsive and available (under optimal circumstances). Further, the caregiver is seen as an agent, with individual goals and plans. Although it is improper to apply biological concepts to God, it is nonetheless relevant to consider God’s attunement to humans, God’s responsiveness and availability, and God’s agency from the perspective of trinitarian theology. However, the origins of human-divine attachment must be addressed first. The deep yearning and desire for God we find inscribed in our hearts is more intelligible if that desire is rooted in the very nature of God, that is, if God, too, yearns for and desires another, not out of need or lack but out of plenitude of love…. Love seeks attachment and affiliation, never fragmentation, solitariness, or autonomy. Divine self-sufficiency is exposed as a philosophical myth (LaCugna, 1991, p.353). Just as the attunement and responsiveness of the caregiver is held to instance parental love, so divine attunement and responsiveness demonstrate divine love. Trinitarian theologians posit both spirit and love as core ontological qualities of God (e.g. Gunton, 2002). The paradigm act of loving attunement by God is the sending of the Son as Redeemer for sins and thereby suffusing the world with agape love through the Spirit. In this act, God demonstrates attunement to the plight of sinful humanity. There is both self-giving love and suffering in such attunement. The image of God’s embrace of humanity on the cross expresses this well, where “the equality and reciprocity that are at the heart of embrace can be reached only through self-sacrifice” (Volf, 1996, p.146) “which is nothing but the mutuality of Trinitarian self-giving in encounter with the enemy” (p.147). God’s availability and responsiveness to humans are also grounded in the ontology of God as lovingly relational. Gunton (2002) demonstrates how God’s loving actions are grounded in God’s being love (1 John 4). Hence, the incarnation and crucifixion of the Son point to the Father’s responsiveness to the human need for restored relationship with God. Similarly, the resurrection ensured God’s unbroken availability to all people through the Spirit sent into the world. Thus, in contrast to cognitive-behavioural or affective models of attachment to God where the basis for claiming that God functions as an attachment figure is human thought or action, an intersubjective model of attachment to God is grounded in the claim that God’s ontology is reflected in God’s actions in the world, and particularly through acts of salvation. The agency of God is revealed through “personal and intentional acts designed to bring about some purpose or change in the world” and is thoroughly trinitarian because “all of God’s acts take their beginning in the Father, are put into effect through the Son and reach their completion in the Spirit” (Gunton, 2002, p.77). It has been argued above that an infant at birth is held in relationship with God by the Spirit. The actions of God towards the infant correspond in important ways to the behaviours of a caregiver, in that God demonstrates attunement, availability and responsiveness. These actions are consistently directed towards all of humanity and invite humans to turn to God in times of distress (the safe haven effect) and to engage in activities with others confident of God’s availability (the secure base effect). However, God’s caregiving is also mediated by human caregivers. As Volf states succinctly: “God is not just outside us. God is in us. And God’s main way of relating to us is to indwell us and work through us” (2005, p.49). Hence, human caregivers relate to infants because they are given spirit from God. As sensitive caregivers interact with infants they promote the development of brain structures that allow for emotional regulation and a range of secure attachment relationships – including attachment components of relationships with other family members, friends and romantic partners. Similarly, the development of the infant brain in interaction with a sensitive caregiver provides the structures necessary for attachment to God. If the caregivers, friends and mentors within a Christian community also give explicit teaching about God’s caring, availability and other attachment qualities, then the developing child or adolescent may begin to relate to God as an attachment figure. On the other hand, those with insecure primary attachments may experience difficulty in relating teaching about God to their experiences with caregivers and their representations of human attachment. As a result they may fail to enter into a secure attachment relationship with God, or experience insecure attachment to God. Thus, an essential development in human-divine attachments is revealed through Trinitarian theology and by analogy through intersubjectivity theories of attachment: a ‘caregiving’ relationship initiated by God becomes an attachment relationship with God as a result of psychosocial processes and human brain development in the context of human attachment relationships. The actions of human attachment figures in mediating God’s attachment to humans throughout the lifespan can now be described in more detail, drawing from cognitive-behavioural, affective, and intersubjective theories of human attachment. In early infancy caregivers who are emotionally accessible and respond promptly and appropriately to the infant’s distress and positive excitement are promoting infant brain structures that will allow for subsequent attachment relationships and implicit (non-verbalised) memories of their relationship. These implicit templates of early attachment experiences allow a later attachment to God to be formed and experienced consciously. A parent who is securely attached to God may also be able to foster attachment behaviour towards God in the 9-12 month old infant by their joint attention to religious object or experiences. At this stage an infant can focus on an object and mother’s attention to the object, and can begin to relate the intentions of the other to that object. It is also the basis for unconscious strategies of affect regulation (Schore, 2003). Hence, in later infancy, the caregiver’s use of religious symbols can become a means of drawing the infant into an attachment relationship with God. At later developmental stages the implicit framework of attachment to God can assimilate explicit teachings, in addition to further implicit information conveyed through attachment relationships. In early childhood the caregiver can use language to communicate plans and goals and simple affective states in relation to religious objects and experiences of God. The congruence of verbal and non-verbal aspects of communication is critical, so that parent and child share feeling states as well as information. Emotionally congruent exchanges are termed ‘collaborative communication’: the combination of right hemisphere wholistic, emotional and non-verbal elements with left hemisphere verbal and logical elements is the essence of collaborative communication, since “collaborative communication is far more than the sharing of linguistic packets of verbally understood words” (Siegel, 2001, p.84). Such collaborative or reflective dialogues “help create meaning and interpret the complex world of human minds for the child” (p. 84). In middle childhood parents, peers, teachers and other religious mentors may provide systematic teaching about God and this will be related to the child’s implicit relational representations of God. However, the context of emotional involvement, or attunement, with the human attachment figure is still critical for the assimilation of knowledge into optimum schema for secure attachment to God. Secure attachments in middle childhood continue to allow for increased self-regulation, as the individual is moving towards more complex states of information processing (Siegel, 2001). At adolescence there is marked brain development, with overproduction and pruning of synapses and the reorganization of corticolimbic circuits, and early internal representations of attachment become more complex (Allen & Land, 1999). Hence “in securely attached individuals, or those in interaction with securely attached individuals who can act as interactive regulators, unconscious internal working models can become more complex” (Schore, 2003). This suggests that religious teaching may help securely attached adolescents develop more complex representations of God, and religious teaching by ‘interactive regulators’ may help insecurely attached adolescents move towards complex, positive representations of God and secure relationship with God. During later adolescence and adulthood romantic partners may function as ‘interactive regulators’ who, in conjunction with religious teaching, may foster explicit awareness of what may still be an implicit sense of an attachment relationship with God. The change to conscious awareness of attachment to the divine takes place when a person receives and incorporates content about God into the implicit structures of an attachment to God framework. Both human and divine activity is required. Teaching by the church community acting as ‘church mother’ (Volf, 1998) helps people to see that God can be approached, and this is confirmed by the Spirit of God. The Spirit draws people into a real, explicit relationship with the trinitarian God. One aspect of this relationship is its attachment characteristics: the Father providing a safe haven in times of danger or trouble; the Spirit as the constantly available presence of God and hence, a secure base from which to work in the world; the Son as the divine person who suffered and was perfected rather than diminished by it, and hence a model for us. Personhood requires the balance of self love and self gift. It requires the balance between individuality and relationality – neither named with reference to self (autonomy) nor another (hereronomy) but in reference to God (theonomy) because our origin and reference is God … The goal of our existence is to realise the fullness of our humanity in union with the Trinity – to live in right relations with God and others. (Benjamin, 1995). Hence, human attachment relationships have a significant role in mediating attachment to God and promoting spiritual transformation. For this reason caregiving can be seen as a spiritual task because it is also basic to our capacity to relate consciously to God. Caregivers represent the church community in this work. One of the features of a satisfactory overarching coordination is that it clarifies issues that are difficulties within a singular perspective. The issue of compensatory attachment to God is disputed by proponents of cognitive-behavioural and affective theories of human-divine attachment. Cognitive-behavioural theory (after Kirkpatrick, 1990 and following) proposes that God may act as a ‘surrogate’ attachment figure for people having insecure human attachments and the mechanism allowing such change is a sudden conversion experience. In contrast, affective theory (after Todd Hall, 2004; 2005) asserts that there is not full compensation after a sudden conversion. A person who is insecurely attached to adult figures may seek God as a means of overcoming insecurity, but experiences of any new relationship with God are nonetheless appraised by means of implicit representational structures derived from earlier insecure attachment relationships. Hence, a post-conversion relationship with God is likely to be experienced in the same (insecure) manner as other adult attachment relationships. For both theories the problem is one of changing mental representations of God where the representations are generalizations from human relationships. The intersubjectivity theory, combined with trinitarian theology, allows a resolution of the problem because the actions of God as agent in the relationship can be considered. Whenever a person is aware of spiritual longings arising from insecure (and hence, precarious and unrewarding) human attachments, God as Spirit is engaging the person with love and attunement. Human teaching about God as loving and relational would also motivate attachment behaviours towards God. Further, people who model and offer a secure attachment whilst giving explicit teaching about the trinitarian God allow those explicit teachings to affect unconscious representations of God. There is a relational, affective component to the teaching promoting a change in attachment structures. Hence, the gap between insecure attachment representations, teachings about a loving God and actual secure attachment to God is bridged by direct and indirect experiences of relationship with God – direct experiences initiated by the Spirit and indirect experiences of God through members of the Christian community. The process in supported by the actions of the Holy Spirit since the capacity to relate scripture to the specific needs of a person in their emotional context is traditionally seen as the work of the Spirit in convicting the world of human sin, Christ’s righteousness and the Father’s judgment (John 16:8-11). Thus, the Spirit working in the world, through psychological and social processes, gradually promotes changes in attachment structures and spiritual transformation. Levels of security or insecurity in attachment relationships affect moral reasoning and the use of aggressive, antisocial behaviour. Adolescents who report secure attachment relationships tend to think at higher, or principled, levels of moral reasoning (Van Ijzendoorn & Zwart-Woudstra, 1995). Reasons suggested for this finding include the following: attuned caregivers promote role playing in their offspring and role playing, in turn, facilitates moral development; secure attachment figures allow the child to explore the social world with less anxiety due to the secure base effect, and hence facilitate moral development; and secure attachment relationships of basic trust produce autonomous individuals who think at principled levels. Similarly, it has been argued that secure attachment promotes sensitivity, or empathy, towards the other and moral development is associated with an increased capacity to view situations from the perspective of the other (Reimer, 2005). In all of these ways secure attachment may promote moral development. It is well documented that insecure infant attachment is associated with later aggression. Fonagy (2001) suggested that poor emotional regulation in infancy, characteristic of insecure attachment, resulted in difficulties modulating aggression in later life. Aggressiveness has also been linked to lack of empathy and conscientiousness (Crawford, Shaver, Cohen, Pilkonis, Gillath & Kasen, 2006). Insecure attachments characterised by ambivalence (the alternation of clinging and rejecting behaviour by the infant) have been linked to coercive toddlers who use intense, exaggerated affect to gain attention from their inconsistent caregivers; in turn, coercive toddlers are more likely to display aggression with peers in later childhood (Leve, Pears, & Fisher, 2002). The pattern of insecurity leading to later aggression has also been extended to juvenile delinquency, where it is suggested that relational insecurity causes emotional strain and emotions of anger and frustration that motivate antisocial acts (Thaxton & Agnew, 2004). In short, poor emotional regulation in attachment relationships is consistently linked to aggressive and antisocial behaviour. If attachment to God can compensate (partially or fully) for insecure human attachment relationships, as discussed in the previous section, then there is hope that positive emotional regulation and ethical conduct, including non-violent behaviour, may follow as the attachment relationship develops. Studies by Kirkpatrick (1997; 1998) suggest that compensatory attachment to God may begin in adolescence or adulthood at times of great distress when there is an emotionally based religious conversion. This could initiate a process of spiritual transformation that parallels the developmental sequence of attachment relationships in infancy through adulthood. In the initial stages of a compensatory attachment relationship the adolescent or adult might experience God primarily as the nurturing caregiver who provides a haven of safety. The relationship is marked by a sense of attunement with a loving, nurturing Father/Mother figure. However, through prayer, worship and similar means the person may experience a continuing sense of closeness to God, with basic needs for relationality being met. That is, personal experiences of God then alter implicit (and explicit) models of God. The Spirit, working through this attachment relationship, changes the person and the relationship develops. Religious teaching can provide explicit knowledge that may be assimilated into the new structures of secure attachment to God. Experiences with God may affect mental models of self and other humans (particularly as one learns about good human relationships and assimilates these concepts into relationship schemas). Thus, it is possible for a relationship with God, over time, to affect other attachment relationships. One may also begin to experience God as friend, lover, healer, shepherd etc. and thus, other aspects of relationship with God may emerge, with some aspects unrelated to attachment needs. Within these more mature relationships themes of communication, shared meaning making and reciprocity may emerge. Just as human attachment relationships may move from greatest dependency in the infant-parent attachment phase to greater equality and reciprocity in later phases involving friends and partners (Kobak, 1999), there could be similar development in one’s attachment relationship with God. Even if the compensatory relationship of attachment to God initially only functions as a safe haven it may provide sufficient space for emotional regulation and the control of aggression towards others. With more complete compensatory attachment to God other helpful functions such as increased empathy and autonomy may develop, resulting in more broadly based ethical behaviour and more secure relationships with others. Hence, ethical behaviour may develop with, and spring from, secure attachment depicted broadly as a person’s web of loving relationships with others (Volf 1998). The transdisciplinary approach to attachment gives some support to Shults’ (2003) claim that the intuition of a knower positioned within the world of interdisciplinary relationality can be transformative. All understanding of self and other, and hence relationality, has reciprocal biological and interpersonal underpinnings. Further, theological insights ground apprehension of ontological relationality in the nature of God as Trinity and the overcoming of subject-object distinctions in God the Son (Gunton, 1985). Hence the knowledge, or intuition, of relationality is deeply imprinted in human nature. When that ‘intuitive’ sense of relationality with God and others becomes explicit, as suggested above, not only is the web of relationality transformed but the whole person is caught up in the process of transformation. This paper applies Relational and Contextual Reasoning (RCR) to the theme of human-divine attachment relationships. From an analysis of psychological, biological and theological accounts of attachment, and recent attempts at interdisciplinary synthesis, a transdisciplinary account of attachment to God is proposed. The overarching synthesis gives equal consideration to the three disciplinary accounts, but also raises new issues of development within a person’s attachment relationship with God and suggests ways in which human-divine attachment relates to spiritual transformation and ethical conduct. However, the scope of the synthesis should be recognized: its analysis of attachment to God is limited to those who hold to a Christian view of God as Trinity. For other religious and spiritual groups, attachment to God will have important differences that should be investigated in future research. Nonetheless, the paper is offered both as an instance of transdisciplinary reflection, and as substantive theory that may usefully direct future theoretical and empirical work. Ainsworth, M. (1972). Attachment and dependency: A comparison. In J. L. Gewirtz (Ed. ), Attachment and dependency (pp. 97-137). Washington DC: Winston. Ainsworth, M. (1973). The development of infant-mother attachment. In B. Caldwell & H. Ricciuti (Eds. ), Review of child development research (Vol. 3, pp. 1-94). Chicago: University of Chicago Press. Ainsworth, M. (1985a). Attachments across the life span. Bulletin of the New York Academy of Medicine., 61:, 792-812. Ainsworth, M. D. (1985b). Patterns of infant-mother attachments: antecedents and effects on development. Bulletin of the New York Academy of Medicine, 61(9), 771-791. Ainsworth, M. D. (1991). Attachments and other affectional bonds across the life cycle. In C. M. Parkes & J. Stevenson-Hinde (Eds. ), Attachment across the life cycle (pp. 33-51). New York, NY, US: Tavistock/Routledge. Ainsworth, M. D., Blehar, M. C., Waters, E., & Wall, S. (1978). Patterns of Attachment: A Psychological Study of the Strange Situation. Hillsdale, New Jersey: Lawrence Eerlbaum Associates Publishers. Ainsworth, M. D. S. (1990). Some considerations Regarding Theory and Assessment Relevant to Attachments in Infancy. In M. T. Greenberg, D. Cicchetti & E. M. Cummings (Eds. ), Attachment in the Preschool Years: Theory, Research & Intervention (pp. 463-488). Chicago: University of Chicago Press. Allen, J. P., & Land, D. (1999). Attachment in adolescence. In J. Cassidy & P. Shaver (Eds. ), Handbook of attachment: Theory, research and clinical applications (pp. 319-335). New York: Guilford. Allen, J. P., Moore, C., Kuperminc, G., & Bell, K. (1998). Attachment and adolescent psychosocial functioning. Child Development, 69(5), 1406-1419. Atwood, G. E., & Stolorow, R. D. (1984). Structures of subjectivity: Explorations in psychoanalytic phenomenology. Hillsdale, NJ: Analytic Press. Atwood, G. E., & Stolorow, R. D. (1993). Faces in a cloud: Intersubjectivity in personality theory. Northvale, New Jersey: Jason Aronson. Balbernie, R. (2001). Circuits and circumstances: the neurobiological consequences of early relationship experiences and how they shape later behaviour. Journal of Child Psychotherapy, 27(3), 237-255. Blanck, R., & Blanck, G. (1986). Beyond ego psychology: Developmental object relations theory. New York: Columbia University Press. Bowlby , J. (1958). The nature of the child’s tie to his mother. International Journal of Psycho-Analysis, 39, 350-373. Bowlby , J. (1969). Attachment. Vol1 of Attachment and Loss. New York: Basic Books. Bowlby, J. (1973). Susceptibility to Fear and the Availability of Attachment Figures. In M. M. Khan (Ed. ), Attachment and Loss: Volume 11- Separation, Anxiety and Anger. London: The Hogarth Press. Bowlby, J. (1978). Attachment theory and its therapeutic implications. Adolescent Psychiatry, 6, 5-33. Bowlby, J. (1986). The nature of the child’s tie to his mother. In P. Buckley (Ed. ), Essential papers on object relations. Essential papers in psychoanalysis (pp. 153-199). 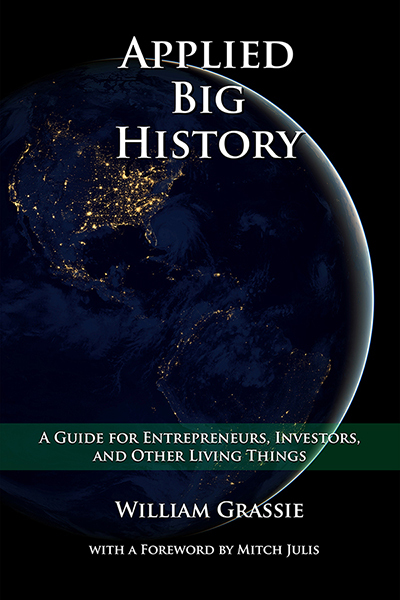 New York: New York University Press. Bowlby, J. (1988). A secure base: Parent-child attachment and healthy human development. New York: Basic Books, Inc.
Bowlby, J. (1991). Ethological light on psychoanalytical problems. In P. Bateson (Ed. ), The development and integration of behaviour: Essays in honour of Robert Hinde (pp. 301-313). New York: Cambridge University Press. Buchner, J. (2005). The Worldwide Church of God: A study of its transformation in terms of K. Helmut Reich’s theory of Relational and Contextual Reasoning. Unpublished Doctoral Dissertation, University of Western Sydney, Sydney. Cassidy, J. (1999). The nature of the child’s ties. In J. Cassidy & P. R. Shaver (Eds. ), Handbook of attachment: Theory, research, and clinical applications (pp. 3-20). New York: The Guilford Press. Crawford, T. N., Shaver, P. R., Cohen, P., Pilkonis, P. A., Gillath, O., & Kasen, S. (2006). Self-reported attachment, interpersonal aggression, and personality disorder in a prospective community sample of adolescents and adults. Journal of Personality Disorders, 20(4), 331-351. Edwards, D. (1999). The God of evolution: A trinitarian theology. New York: Paulist Press. Feeney, J. A. (1999). Adult romantic attachment and couple relationships. In J. Cassidy & P. R. Shaver (Eds. ), Handbook of attachment: Theory, research, and clinical applications (pp. 355-377). New York: The Guilford Press. Fetz, R.L. & Reich, K.H. (1989). World views and religious development. Journal of Empirical Theology, 2(2), 46-61. Fonagy, P. (1999). Psychoanalytic theory from the viewpoint of attachment theory and research. In J. Cassidy & P. R. Shaver (Eds. ), Handbook of attachment: Theory, research, and clinical applications (pp. 595-624). New York: The Guilford Press. George, C., & Solomon, J. (1999). Attachment and caregiving: The caregiving behavioral system. In J. Cassidy & P. R. Shaver (Eds. ), Handbook of attachment: Theory, research, and clinical applications (pp. 649-670). New York: The Guilford Press. Granqvist, P. (2002). Attachment and religiosity in adolescence: Cross-sectional and longitudinal evaluations. Personality & Social Psychology Bulletin, 28(2), 260-270. Granqvist, P., & Hagekull, B. (1999). Religiousness and perceived childhood attachment: Profiling socialized correspondence and emotional compensation. Journal for the Scientific Study of Religion, 38(2), 254-273. Greenberg, M. T. (1999). Attachment and psychopathology in childhood. In J. Cassidy & P. R. Shaver (Eds. ), Handbook of attachment: Theory, research, and clinical applications (pp. 469-496). New York, NY, US: The Guilford Press. Gunton, C. (1985). Enlightenment and alienation: An essay towards a Trinitarian theology. Grand Rapids, Michigan: Eerdmans. Gunton, C. (1993). The one, the three and the many: God, creation and the culture of modernity. Cambridge: Cambridge University Press. Gunton, C. E. (2002). Act and being: Towards a theology of the divine attributes. London: SCM Press. Hall, T. W. (2004). Christian spirituality and mental health: A relational spirituality paradigm for empirical research. Journal of Psychology and Christianity, 23(1), 66-81. Hall, T. W., Halcrow, S. R., Hill, P. C., & Delaney, H. (2005). Internal working model correspondence in implicit spiritual experiences. Paper presented at the National Convention of the Christian Association for Psychological Studies, Dallas, TX, April 8 2005. Hesse, E. (1999). The adult attachment interview: Historical and current perspectives. In J. Cassidy & P. R. Shaver (Eds. ), Handbook of attachment: Theory, research, and clinical applications (pp. 395-433).New York: Guilford. Hood, R. W. (1995). Handbook of religious experience. Birmingham, Al: Religious Education Press. Hood, R. W. (2005). Mystical, spiritual and religious experiences. In R. F. Paloutzian & C. L. Park (Eds. ), Handbook of the psychology of religion and spirituality (pp. 348-364). New York: Guilford Press. Insel, T. R., & Young, L. (2001). The neurobiology of attachment. Neuroscience, 2, 120-136. James, W. (1902). Varieties of religious experience. New York: Longmans, Green. Johnson, E. L. (1997). Human agency and its social formation. In R. C. Roberts & M. R. Talbot (Eds. ), Limning the Psyche: Explorations in Christian psychology (pp.138-164). Grand Rapids, MI: Eerdmans. Kernberg, O. (1976). Object relations theory and clinical psychoanalysis. New York: Aronson. Kirkpatrick, L. A. (1992). An attachment-theory approach to the psychology of religion. International Journal for the Psychology of Religion, 2(1), 3-28. Kirkpatrick, L. A. (1994). The role of attachment in religious belief and behavior. In K. Bartholomew & D. Perlman (Eds. ), Attachment processes in adulthood. Advances in personal relationships, Vol. 5 (pp. 239-265). London: Jessica Kingsley. Kirkpatrick, L. A. (1995). Attachment theory and religious experience. In R. W. J. Hood (Ed. ), Handbook of religious experience (pp. 446-475). Birmingham, AL: Religious Education Press. Kirkpatrick, L. A. (1997a). An attachment-theory approach to the psychology of religion. In B. Spilka & D. N. McIntosh (Eds. ), The psychology of religion: Theoretical approaches (pp. 114-133). Boulder, CO, US: Westview Press. Kirkpatrick, L. A. (1997b). A longitudinal study of changes in religious belief and behavior as a function of individual differences in adult attachment style. Journal for the Scientific Study of Religion, 36(2), 207-217. Kirkpatrick, L. A. (1998). God as a substitute attachment figure: A longitudinal study of adult attachment style and religious change in college students. Personality & Social Psychology Bulletin, 24(9), 961-973. Kirkpatrick, L. A. (1999). Attachment and religious representations and behavior. In J. Cassidy & P. R. Shaver (Eds. ), Handbook of attachment: Theory, research, and clinical applications (pp. 803-822).New York: Guilford. Kirkpatrick, L. A. (2005). Evolutionary psychology: An emerging new foundation for the psychology of religion. In R. F. Paloutzian & C. L. Park (Eds. ), Handbook of the psychology of religion and spirituality (pp. 101-119). New York: Guilford. Kirkpatrick, L. A., & Shaver, P. R. (1990). Attachment theory and religion: Childhood attachments, religious beliefs, and conversion. Journal for the Scientific Study of Religion, 29(3), 315-334. Kirkpatrick, L. A., & Shaver, P. R. (1992). An attachment-theoretical approach to romantic love and religious belief. Personality & Social Psychology Bulletin, 18(3), 266-275. Knox, D. B. (1982). The everlasting God. Hertfordshire: The Evangelical Press. Kobak, R. (1999). The emotional dynamics of disruptions in attachment relationships: Implications for theory, research, and clinical intervention. In J. Cassidy & P. R. Shaver (Eds. ), Handbook of attachment: Theory, research, and clinical applications (pp. 21-43). New York: The Guilford Press. LaCugna, C. M. (1991). God for us: The Trinity and Christian life. New York: Harper Collins. Leve, L. D., Pears, K. C., & Fisher, P. A. (2002). Competence in early development. In J. B. Reid, G. R. Patterson & J. Snyder (Eds. ), Antisocial behavior in children and adolescents: A developmental analysis and model for intervention (pp. 45-64 ). Washington, DC, US American Psychological Association. Mahler, M. S. (1972). On the first three sub-phases of the separation-individuation process. International Journal of Psycho-Analysis, 19, 126-130. Main, M. (1995). Recent studies in attachment: Overview, with selected implications for clinical work. In S. Goldberg & R. Muir (Eds. ), Attachment theory: Social, developmental, and clinical perspectives (pp. 407-474). Hillsdale, US: Analytic Press, Inc.
Main, M., Kaplan, N., & Cassidy, J. (1985). Security in infancy, childhood, and adulthood: A move to the level of representation. Monographs of the Society for Research in Child Development, 50(1-2), 66-104. Marvin, R. S., & Britner, P. A. (1999). Normative development: The ontogeny of attachment. In J. Cassidy & P. R. Shaver (Eds. ), Handbook of attachment: Theory, research, and clinical applications (pp. 44-67). New York: The Guilford Press. Masterson, J. (1986). The real self. New York: Brunner/Mazel. McGrath, A. (1997). Christian theology: An introduction. Oxford: Blackwell. Mitchell, S. A. (2000). Relationality: From attachment to intersubjectivity. Otto, R. (1958). The idea of the holy (J. W. Harvey, Trans.). London: Oxford University Press. (First edition 1917). Peacocke, A. (1993). 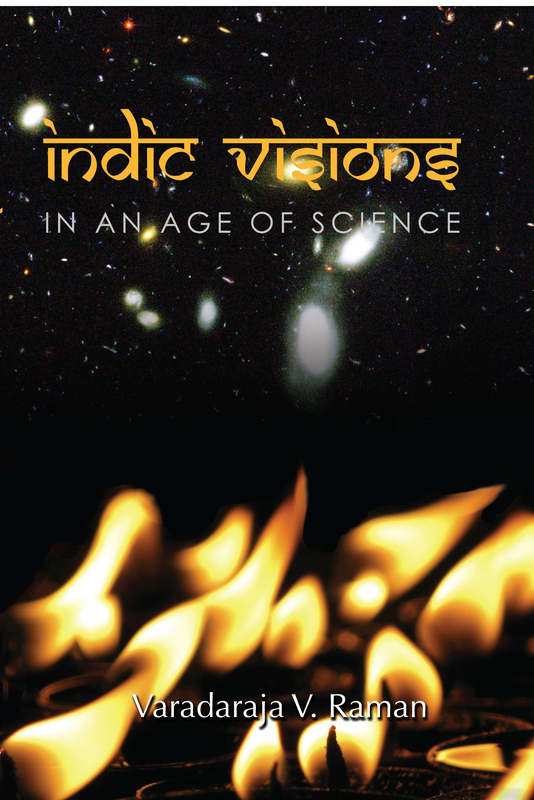 Theology for a Scientific Age (2nd ed.). London: SCM Press. Polan, H. J., & Hofer, M. A. (1999). Psychobiological origins of infant attachment and separation responses. In J. Cassidy & P. Shaver (Eds. ), Handbook of attachment (pp. 162-180). New York: Guilford. Reich, K.H. (1990). The Chalcedonian Definition, an example of the difficulties and the usefulness of thinking in terms of complementarity? Journal of Psychology and Theology, 18(2), 148-157. Reich, K.H. (1991). The role of complementarity reasoning in religious development. In F.K.Oser & W.G. Scarlett (Eds.). Religious development in childhood and adolescence (pp.77-89). San Francisco: Jossey-Bass. Reich, K.H. (1996). Relational and contextual reasoning in religious education: A theory-based empirical study. In L.F. Francis, W.K. Kay & W.S. Campbell (Eds.). Research in religious education. Leominster, UK: Gracewing. Reich, K. H. (2002). Developing the horizons of the mind: Relational and contextual reasoning and the resolution of cognitive conflict. Cambridge UK: Cambridge University Press. Reimer, K. (2005). Revisiting moral attachment: Comment on identity and motivation. Human Development, 48, 262-266. Roberts, R. C. (1997). Attachment: Bowlby and the Bible. In R. C. Roberts & M. R. Talbot (Eds. 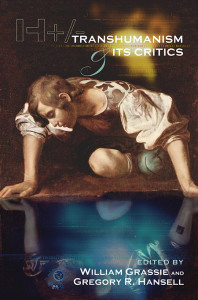 ), Limning The Psyche: Explorations in Christian Psychology (pp. 206-228). Cambridge: William Eerdmans Publishing Company. Rowatt, W.C. & Kirkpatrick, L.A. (2002). Two dimensions of attachment to God and their relation to affect, religiosity, and personality constructs. Journal for the Scientific Study of Religion, 41(4), 637-651. Shults, F. L. (2003). Reforming theological anthropology: After the philosophical turn to relationality. Grand Rapids, Michigan: Eerdmans. Siegel, D. J. (2001). Toward an interpersonal neurobiology of the developing mind: Attachment relationships, “mindsight”, and neural integration. Infant Mental Health Journal, 22(1-2), 67-94. Sroufe, L. A., & Waters, E. (1977). Attachment as an Organizational Construct. Child Development, 48, 1184-1199. Thaxton, S., & Agnew, R. (2004). The nonlinear effects of parent and teacher attachment on delinquency: disentangling strain from social control explanations. Justice Quarterly, 21(4), 763-791. Torrance, T. (1996). The Christian doctrine of God: One Being, Three Persons. Edinburgh: T and T Clark. Van Ijzendoorn, M. H., & Zwart-Woudstra, H. A. (1995). Adolescents’ attachment representations and moral reasoning, The Journal of Genetic Psychology, 156(3), 359-. Volf, M. (1996). Exclusion and embrace: A theological exploration of identity, otherness and reconciliation. Nashville,TN: Abingdon. Volf, M. (1998). After our likeness: The church as the image of the Trinity. Michigan: Eerdmans. Volf, M. (2005). Free of charge: Giving and forgiving in a culture stripped of grace. Grand Rapids, Michigan: Zondervan. Watts, F. (2002). Theology and Psychology. Aldershot, England: Ashgate.